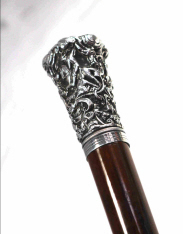 Really smart Victorian silver plated pommel with hunting scene on Malacca Shaft- A really smart, eye catching cane. 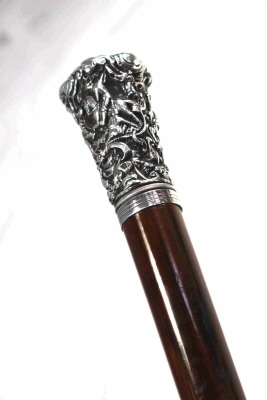 Very smart,eye catching silver plated walking stick. The pommel depicting hunting scenes. Suggested later collar. 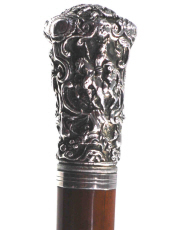 The pommel mounted on a very attractive three quarter bark Malacca shaft and finished with original base metal ferrule. Excellent condition throughout with appropriate wear for age.Free from damage,cracks or damage.